Travel Tuesday: Get Blown Away in Bolzano! You know, the ones where you're like, "Yeah, ok...let's go there for a day," and then something completely magical happens and you wonder why you've never heard of that place...yeah, that's what Bolzano is like - and why we've included it on our 'Northern Italy + Switzerland' trip coming up in May 2017. VoyEdge RX is in the business of travel and getting you to find something you never thought you would experience. That is why on every trip our goal is to get you in a city, town or village, you probably never would have gone to otherwise. That city on our Northern Italy trip is none other than Bolzano, Italy or as we like to call it, the best of both worlds. Bolzano has an interesting past, being settled first by the Romans in 15 BC followed by Bavarian immigration to the area around the 7th century as the Roman Empire was falling. After many different rulers throughout the ensuing years Bolzano officially became part of Italy in the early 1900’s but the German/Austrian influence and culture is still very visible today. 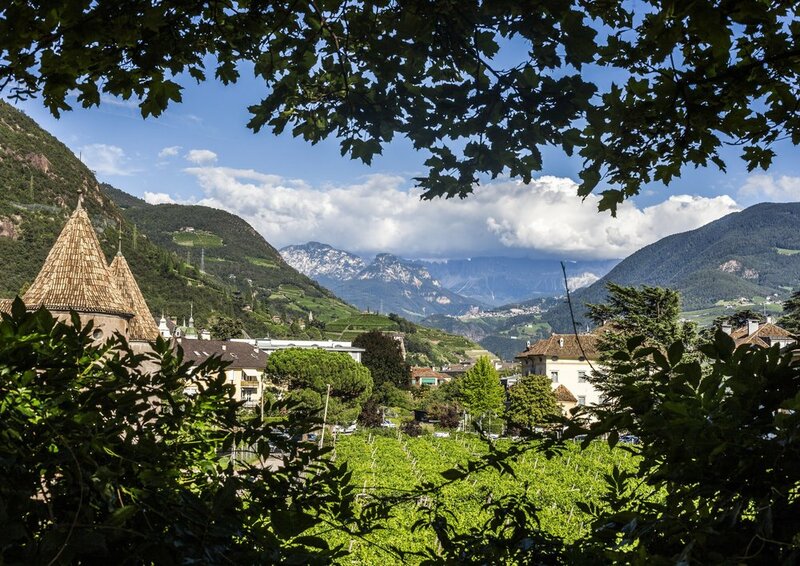 Situated in the picturesque Dolomite Mountains, Bolzano is home Otzi the Iceman who lived around the year 3,300 BC and is the oldest mummy ever found. He now calls the South Tyrol Museum of Archaeology home and is one of the top attractions in the area. A short walk from the museum is Walther Square which is a great place to people watch, grab a coffee, or get some of the varied local cuisine. When one thinks of mountains there is usually another thought that goes along with that. That word is most likely “views” and all around the area there is no shortage of amazing picture opportunities. To get some of these you have two options. You join VoyEdge RX on a hike that is sure to give you a workout but will be an experience not easily forgotten. If you want to get the views and pictures but not really feeling the hike, there is a large cable car that is ready and willing to take you up to the village of Renon. Either way you cannot go wrong and will be left speechless. What would a city with this kind of history be without a castle or three? Castle Maretsch, Runkelstein Castle and Sigmundskorn Castle are all within walking distance or a very short bus ride away. Runkelstein is the most famous of these having been part of the famous Hapsburg dynasty, the Holy Roman Empire, then to the Bavarians who gifted it to Emperor Fran Josef in the 1800’s. Nice gift huh? It was then donated to the city of Bolzano and is taken care with the utmost care. So there you have it. A quick insight to this diverse and bustling city that this short blurb can’t do justice but can give you some background as to why we feel it is an important city to bring to the forefront. Hop on this excursion and see the best Bolzano has to offer starting in 2017 and happening every year after that! We will see you among the mountains! "Just have fun and don't finish last."